Soprano Margot Rood is praised by The Washington Post for her "colorful and vital" singing. She made her solo debut at Boston's Symphony Hall in 2011, and since then has been a frequent soloist with the Handel and Haydn Society. Margot's recent and upcoming stage appearances include La Renommée in Lalande's Les Fontaines de Versailles and Francesca Caccini's Alcina with Boston Early Music Festival; Galatea in Acis & Galatea and First Witch in Dido & Aeneas with Handel and Haydn Society; Hyacinthus in Mozart's Apollo et Hyacinthus with Emmanuel Music, among others. In addition to opera and oratorio, Margot was a 2015 recipient of the St. Botolph Club Foundation's Emerging Artist Award for her work in new music. She has recorded numerous world premieres and 21st century works. Her solo recording with composer Heather Gilligan, Living in Light, is now available from Albany Records. Margot holds degrees from the University of Michigan and McGill University. Praised by Opera News as a "silvery-luminescent mezzo-soprano of power and poise," Sofia Selowsky is an exciting artist on both the operatic and concert stage. She has appeared with Opera Theatre of Saint Louis as Frau Grubach in the American premiere of Philip Glass' The Trial and Mère Jeanne in Dialogues of the Carmelites, as well as performed Storgé in Handel's Jephtha (Ars Lyrica Houston), Handel's Messiah (Minnesota Orchestra), and was the mezzo soloist in Falla's The Three-Cornered Hat and Schumann's The Pilgrimage of the Rose (Houston Symphony). Ms. Selowsky was a 2016 grant recipient from the Gerda Lissner Foundation and a 2015 recipient of a Richard F. Gold Career Grant from the Shoshanna Foundation. In 2014, she was a National Semifinalist in Metropolitan Opera National Council Auditions and won Third Place in the Houston Grand Opera's prestigious Eleanor McCollum Competition. Isaiah Bell's work is characterized by his "beautiful tenor, command of style, and natural stage presence." In October of 2018, he created the role of Antinous in the world premiere of Rufus Wainwright's Hadrian at the Canadian Opera Company. He also recently returned to Mark Morris' acclaimed doublebill production of Curlew River/Dido & Aeneas at the Brooklyn Academy of Music, giving "a performance of exquisite poignancy" (The New York Times). This season Isaiah makes solo debuts at Carnegie Hall, the Caramoor Festival, the Innsbruck Festival of Early Music, among others. Other recent engagements include George Benjamin's Written on Skin with the Toronto Symphony; Messiah with the St Paul Chamber Orchestra, the National Arts Centre Orchestra, and the Toronto Symphony, among many others. As a composer, Isaiah has written four operas including the music and libretti for two operas for young audiences commissioned and widely toured by Opera NUOVA and a number of song cycles and arrangements. American bass Adam Lau, has been praised as a "bass of real quality, with sonorous low notes." Adam appears this season with Wexford Festival Opera as Creon in Medea; as Basilio in Il Barbiere di Siviglia with Kentucky Opera; and as the Old Hebrew in Samson et Dalila with North Carolina Opera. Most recently, Adam sang in Verdi's Requiem with Guelph Symphony Orchestra, returned to Seattle Opera as The Speaker in The Magic Flute, and performed in the Mahler 8th Symphony with Maestro Kent Tritle at the Berkshire Music Festival. Adam won First Prize in the 2016 Jensen Vocal Competition, and Top Prize in the 2015 George London Foundation competition. He was also a finalist in the 2016 Dallas Opera Competition. He has appeared with some of the nation's leading summer festivals including Merola Opera Center, Aspen Opera Theater Center, and Santa Fe Opera. Posted in Classics. Tagged as Mozart. Winterfield Students participating in Friday, November 16 and Saturday, November 17th's special performance of Mozart's Ave Verum Corpus featuring the entire CSO artistic family took some time to express their excitement for the event in the following notes. Martha says, "The good thing about the concert is having the opportunity to play in it & to have teacher help us. 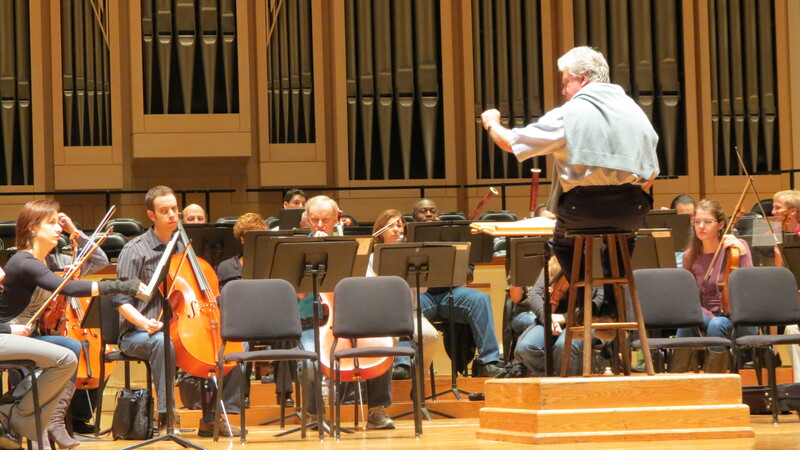 The thing I like most going to the concert & playing with the Charlotte Symphony." 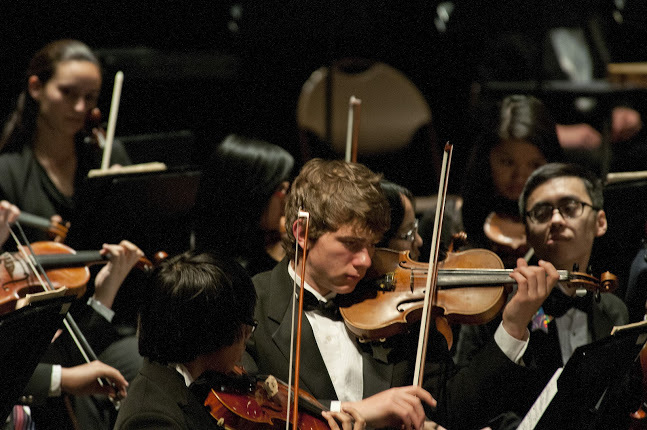 "My experience in orchestra has been wonderful and I can't wait to play with the Symphony. I am very excited about when we see our mom and dad in the crowd and they video the whole thing. The next thing I am excited about is when the crowd claps." "I'm happy about that I am going to play with my teachers. My parents are coming to see me play on stage. I'm going to look my best. I just cannot wait! I am so excited about it." Nytalia says, "I love violin because it makes me feel free. And I have a lot of friends. I'm excited about this year's concert because we get to go play with the Charlotte Symphony. I wish I have a great time and Mr. Carlos is great, too. (I think.)" "I am excited about when I get to play in front of all those people and when they clap for me with all my hard work, and I am thankful for that. I cannot wait for the concert. I want my parents to be proud of me yea! I want to say thank you for spending the time to teach me how to play the violin. I wish I could be here next year to play the violin, but I have to go to a middle school 6th grade. I wish I could play another year again! " One thing's for sure, these hardworking kids are expecting the crowd to go wild with applause, so let's not disappoint. CONTRIBUTE TO THE APPLAUSE: Single tickets start at $19 and are available by calling (704) 972-2000 or by visiting our website. Posted in Classics, Education & Community. Tagged as Charlotte Symphony, Education, Mozart, Mozart Mass in C Minor, winterfield elementary, youth musicians. As a volunteer chorus, the members of the Oratorio Singers of Charlotte put in a lot of hours rehearsing for concerts. We work hard at it. We do it, of course, because we love it and because we get something out of it. In exchange for the time we spend driving to and from rehearsals and the actual hours spent in rehearsal, we get to sing some of the finest music ever composed. We work with world-class conductors. We meet interesting people who share our love for music. We sing with the Charlotte Symphony Orchestra. And then, sometimes we get a night where the conductor, the symphony, the chorus and the soloists are all in sync, the house is full, and the audience is engaged. When that happens, the experience can be magical. Of all the arts, music alone, I think, has that singular ability to so collectively elevate the human spirit. I think we experienced that twice this past weekend. At the post-concert talk after Saturday night's performance of Mozart's Jupiter Symphony and Requiem, a member of the audience noted that she had been attending concerts that featured the Oratorio Singers of Charlotte for about 15 years. She wanted to know why we sounded so much better in this performance than she had ever heard before. Scott Allen Jarrett, Director of Choruses and Assistant Conductor of the Charlotte Symphony, primarily credited our musical growth to the commitment of the Charlotte Symphony to the Oratorio Singers and to its ongoing commitment to the choral repertoire. (He was right, though his own commitment to Oratorio Singers should have been included as well.) We are, in fact, larger in number than in recent years (about 150-strong), and I do think our quality is on the rise. One aspect of that quality is having enough mastery of the material to be able to respond to the spirit of the moment--and of course, the direction of the conductor--during a live performance. Christopher Warren-Green obviously has the musical standards, knowledge and sensibilities one would expect from a conductor of his pedigree. He also makes himself available to moments of inspiration on stage. One could argue that this is in fact the essence of a live performance, but not all conductors allow themselves the same level of expressive freedom. Warren-Green does. And for a chorus that has sung only a couple times under his direction, this can be a scary notion. And then there is the chorus. If the conductor doesn't trust the chorus, he will reign in his musical muse in order to preserve the integrity of the music. The result is a competent concert, but not a transcendent one. So within our preparation for a concert, we don't just learn the music as indicated in the score. Scott Allen Jarrett has us practice different endings to movements, different tempos and dynamics, different interpretations of key passages, even different ways to produce vowels. By the time rehearsals began with the orchestra last Tuesday, we had developed the confidence to not only sing well, but to deliver what Maestro Warren-Green was asking of us. And if he wanted to try something else, we could produce that as well. So this past week weekend, the result was two great concerts. The soloists did marvelously, the orchestra did its usual excellent job, and I think the chorus gave Maestro Warren-Green enough confidence to follow his muse without having to worry about whether we were going to come along. The house was full, and the audience each night was both engaged and receptive to the music. The result? Two special nights enjoyed as much by those of us in the chorus as by those in the audience. Posted in Classics. Tagged as Christopher Warren-Green, Mozart, Oratorio, scott allen jarrett. Who IS the greatest composer? Classical music critic Anthony Tommasini has got something crazy up his sleeve over at The New York Times. The blogger's newest idea for a story is so daunting and controversial, its consequences could be catastrophic. It has the potential to, in fact, upset classical music aficionados worldwide. Tommasini has recently announced that he is on a mission to name the 10 greatest composers of Western classical music. Anti-climactic? Hardly! At the end of the day, there must be a Number One to end every countdown. To construct a list leading up to the number one composer of Western classical music -- now that is no easy feat. Think about it. Is this even possible? Is the winner chosen based on the number of works they composed? Which is more revered pioneering a new style, or being the master of an older one? Does Beethoven get extra points because he was deaf? Or is Mozart boosted to the front because of his child-prodigy status? Then there's the issue of varying types of composition. For instance, how does one compare Wagner's opera to the oratorio of Handel... and then determine the better composer? Well Mr. Tommasini, I fully support your decision to compile this list. After all, everyone has a favorite piece by a favorite composer what's better than taking the time to really think about why that piece is special, and what it is about that composer that makes him/her stand above the rest? Exploring why you are passionate about something and coming to its defense can make you appreciate it even more. Now before I make this bold statement, please keep in mind the following: I do not have a PhD in music. I am not a world-renowned conductor, composer, or performer. I hardly know enough about classical music to serve as a critic, or write a book on the subject. I do, however, have fond memories of listening to public radio on long car rides with my father as a child. I am a senior in an undergraduate music program, and survived a grueling year of the most feared course sequence in the curriculum music history. Based on these things, and my own personal opinion, I must say that my vote for Number One is Ludwig van Beethoven. Let me begin by saying that I admire Beethoven's unwavering passion for music. Beethoven stayed true to himself, composing music the way he saw fit, and never relinquishing artistic control to patrons or audiences. Music came from his heart and from his personal experiences. He experienced periods of both extreme darkness and triumph. I don't just hear music when I listen to Beethoven, I hear his soul; it's as if the composer is interwoven into every melodic line musical phrase. When I say this I don't mean to take away from the god-like status he has been promoted to over the centuries, but I understand Beethoven on a more personal level. Human to human, we relate. Like many other great composers, Beethoven altered the course of music history. His radical and revolutionary composition techniques aided in ushering in the Romantic Period. Beethoven broke from and expanded traditional musical forms, expanded instrumentation, and pushed performers of his music to the brink. He also had a knack for taking a theme and hiding it in a piece for the listener to experience again and again. Beethoven's harmonic explorations keep audiences on the edge of their seats, and I for one particularly enjoy the unpredictable nature of his symphonies. In fact, I will now take this moment to be completely cliché and acknowledge that my favorite Beethoven work is Symphony No. 9. Hey, it's one of classical music's greats for a reason! From the fiery first movement to the recitative of the cellos and basses that introduces the "Ode to Joy" theme in the low strings I love every second of it. I place Beethoven at the top for his innovativeness, passion, and ability (in my opinion) to have an impact on every composer that followed him. Who is your Beethoven? Who is it that, at the drop of a hat, you are able to say, "Now that is Western classical music's greatest composer of all time!"? Join the debate. Write to me at intern1@charlottesymphony.org and let me know who you think should get that number one spot. After the Charlotte symphony music director reviews the responses, the winner will receive two tickets to a CSO concert of his or her choice and a backstage pass to meet Christopher Warren-Green! Deadline is January 20. And don't forget to follow Tommasini's countdown on his ArtsBeat blog at http://artsbeat.blogs.nytimes.com/. Liz Weger has come to Charlotte from Westerville, Ohio to serve as the Charlotte Symphony's newest intern. A senior at Otterbein University, Liz is a music and public relations major. With a vocal concentration, Liz studies voice privately and is a member of the Otterbein Concert Choir Otterbein's most select vocal ensemble. She recently accompanied the choir on its tour to China, where students participated in joint-concerts with university students in Beijing, Tianjin, and Xi'an. In 2009, Liz was the education intern at ProMusica Chamber Orchestra in Columbus, and served on the orchestra's student advisory board. Hoping to soon have a career in arts administration, Liz is thrilled to have the opportunity to experience the arts scene of Charlotte. Tagged as anthony tommasini, Christopher Warren-Green, countdown, greatest composer, handel, Mozart, new york times, romantic, wagner.